With the touch of a button, the Catalyst Collection tailors your sleep experience to fit your individual needs. The wireless remote controlled adjustable bed frame, allows for the elevation of your head and feet, creating an ergonomic environment conducive to restorative relaxation. Designed to work with a number of bed frames, the experience of an adjustable bed is now within reach. Adjustable bed frames / bases are mostly recommended for memory foam mattresses. FEATURES: Metal Frame ~ Two Wireless Power Motors ~ 300 Lbs Evenly Distributed Weight Power Lift Capacity ~ Mattress Foot Bar to Prevent Mattress Sliding ~ Ability to Fit into Most Upholstered Platform Bed Frames ~ Six Leg Support. 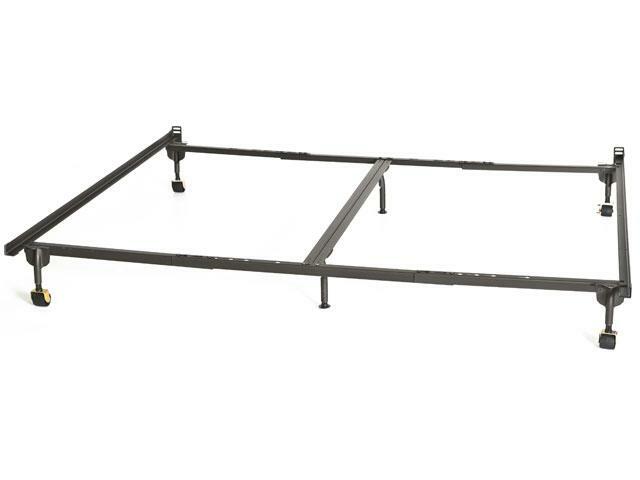 Glideaway Steel Products metal bed frames. 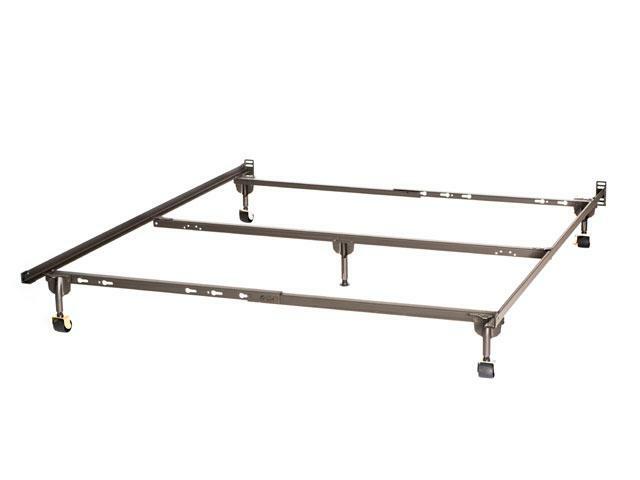 Queen and King size frames features a middle cross support. 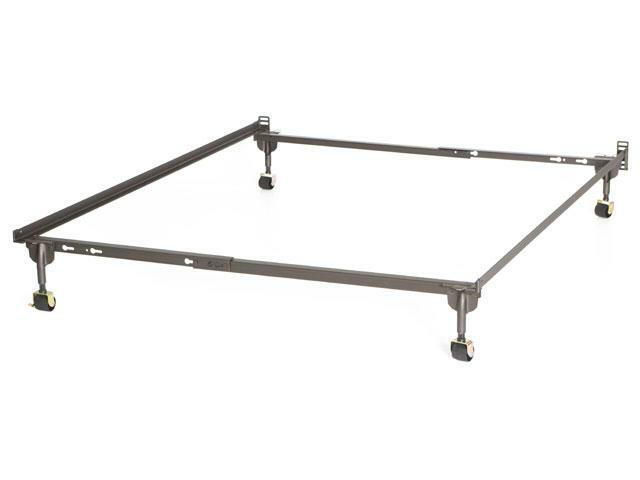 All frames come with heavy duty casters for easy movement, and end cap plastics to protect foundation. All bed frames can be bolted-on to a panel headboard, if desired. (Bolts are not included). Shop and Compare Prices, on these same Glideaway Steel products! Glideaway is a family-owned company that has been dedicated to providing value-based and innovative sleep products to their customers for over 50 years. We take pride in being able to supply their retailers with numerous product categories, all delivered on one truck and billed on one invoice, saving the retailer time and money by eliminating the need for several vendors. Glideaway works closely with the retailers on training programs to ensure high sales and attachment rates, as well as providing retailers custom product and packaging programs designed to fit the specific needs or branding of their store. By forming partnerships with retailers, Glideaway has remained a strong force in the bedding industry. Bed rails for bolt-on headboards with footboards. This rail system is made from angle iron steel with over-sized end plates. Includes cross wire unit. (Bolts are not included). Twin day bed link spring featuring helical spring, two middle iron supports and universal fit mounting brackets. Sturdy construction of steel. This unit includes a universal bracket that allows for vertical and horizontal adjustments to fit all day beds. (Bolts are not included). This unit is a Pop-Up Trundle with tension springs that is stored under your day bed when not in use. Pop-Up trundle provides for easy lifting and closing so that you can turn any day bed into an additional twin-sized bed by adding a mattress along with a pop up trundle unit.